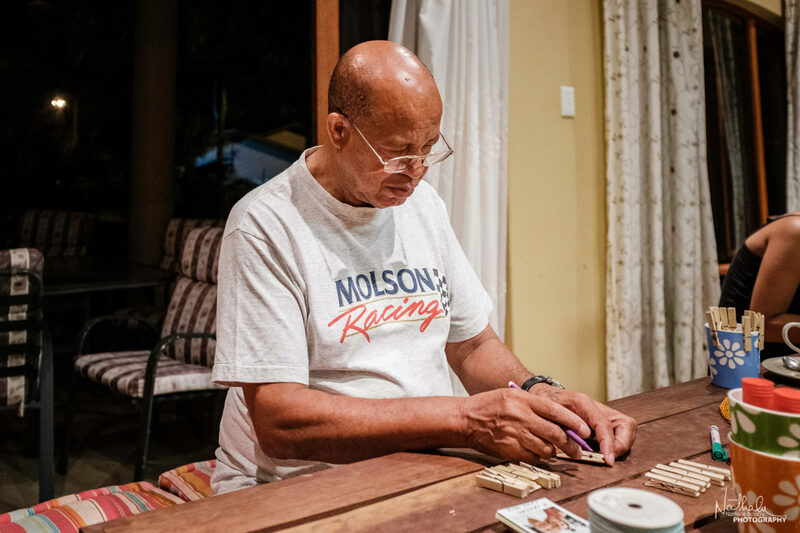 This is why, many years ago, my husband and I came up with what has now become a family tradition: on Boxing Day the family gets together and spends the day doing a craft project that every family member, young and old, can participate in. 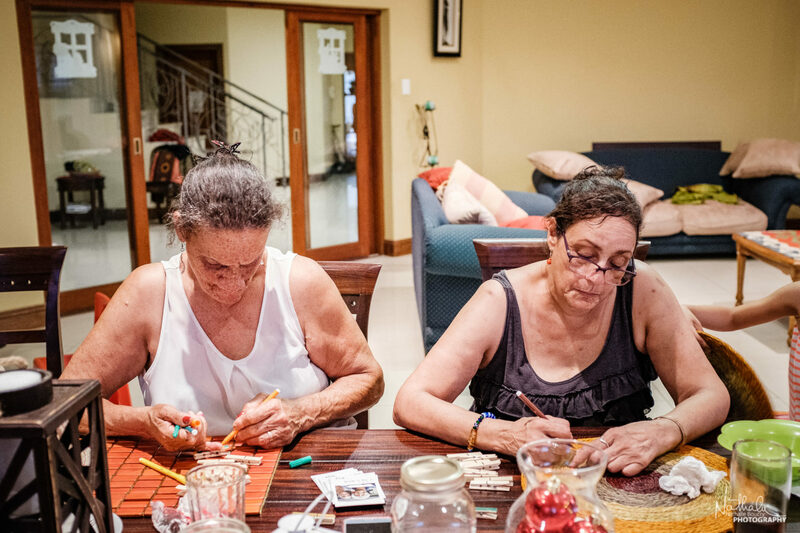 It is a beautiful way to spend the day doing something together as a large family that now spans four generations. My husband and I plan the project and bring along all the “ingredients” required. Everybody then follows the “recipe” and makes their own Christmas Gift. This year we chose a project that is trendy, but also has a deep and meaningful purpose at the same time – to be reminded that there is much in our family lives to be grateful for. 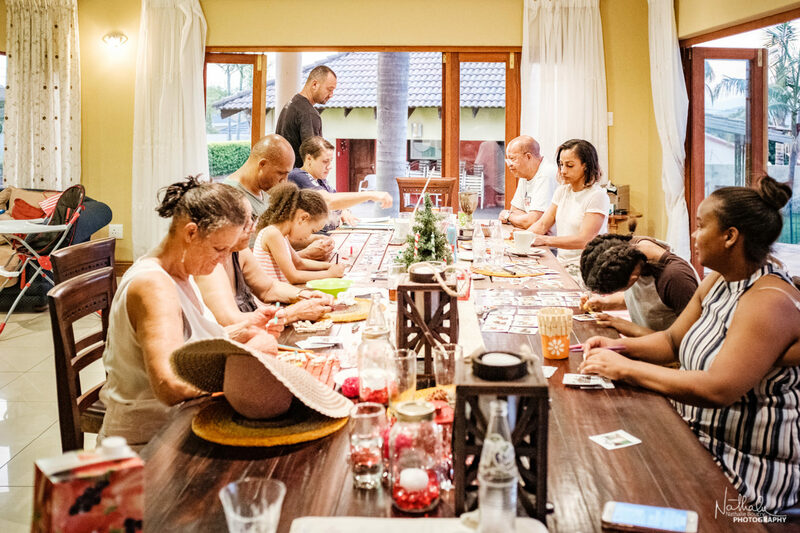 The Gratitude Calendar project took our family over four hours to complete (but it could be done in less than two) in five steps and it involved everyone taking a selfie with every other person on the day. Everyone had to draw another family member’s name from a bowl which we had prepared beforehand, until each person had twelve different names. Once everyone had their twelve names, they had to take a selfie with every person whose name they had drawn. 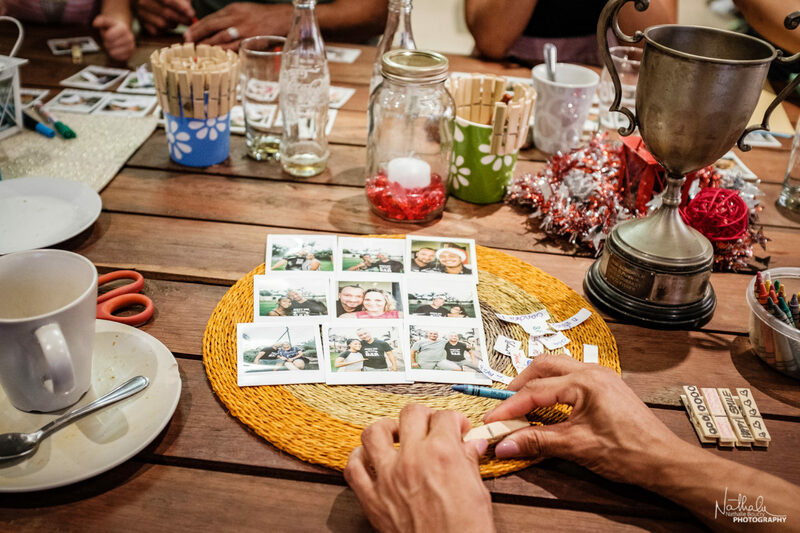 For this purpose, we had brought our Instax SQ6 cameras to make it easy to take and print the images. 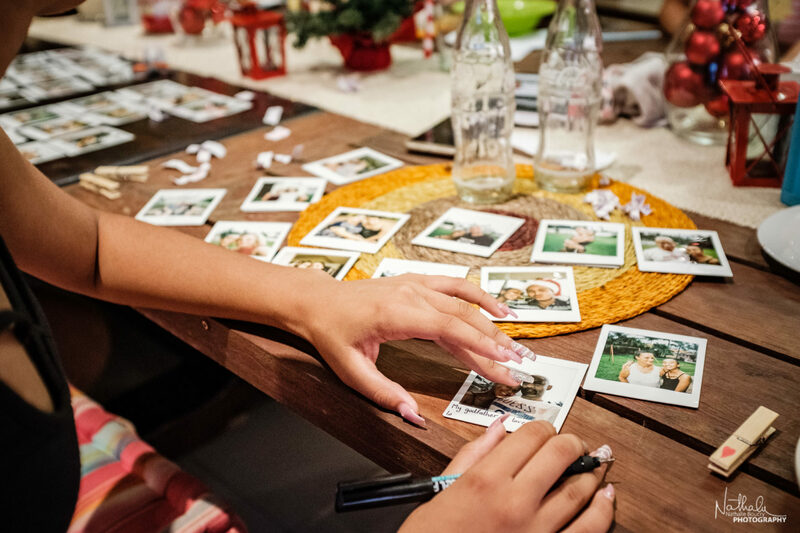 They would also be fun to use and produce beautiful, instant prints which could be decorated and made into the “Gratitude Calendar”. When we are all gathered together in one space, everybody talks at the same time and no-one really listens, and so we have to keep instructions short and simple. The “Take a Selfie” part was easy to understand and as soon as we unpacked the Instax cameras, the noise and excitement level in the room shot up (even more ;-)). People jumped to their feet and busied themselves with creating instant memories. The air filled with a magical buzz of chatter and laughter as people went about taking their photographs and faces were glowing and carrying smiles left, right and centre. Everyone took this part very seriously as they were thinking of a fitting message for each family member. Hugs and smiles come easily in our family, but words and meaningful messages that would compliment long-lasting photographs had to be crafted carefully. It was very touching to observe what this project was awakening. When all the messages had been written, a peg and the printed photos had to be decorated to add a final, personal touch. 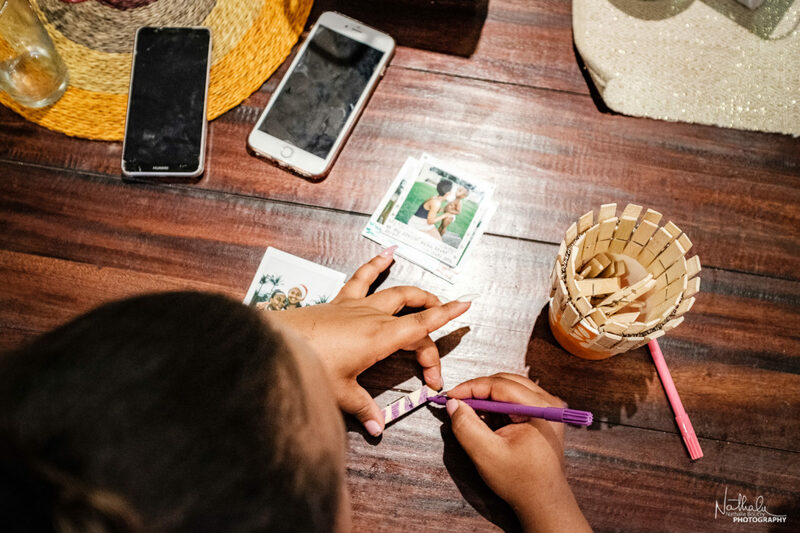 This colourful and creative part of the activity served to return the atmosphere from the seriousness of the messages to a loud laughter and fun-filled space, so much more familiar to everyone. Then it was time for the “exchange” – time for “Giving and Receiving Gratitude”. Each person then took their decorated gratitude print and peg, and gave it to the person they had written the message for. In return, they received gratitude prints given to them by others. The smiles and warm hugs that followed each exchange confirmed that everyone had come the full circle to the meaningful purpose of the project. 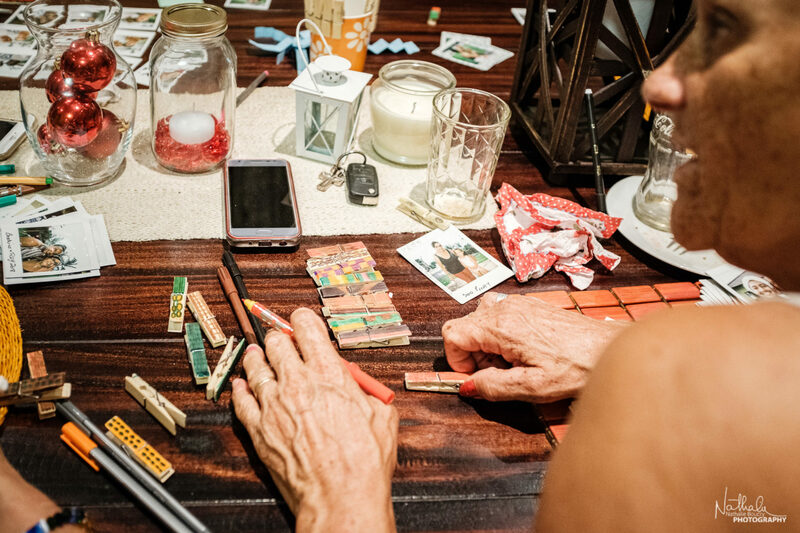 There was a real sense of appreciation being given and received between everyone as, in the end, each person had a total of 12 pieces to make up their own personal “Gratitude Calendar”. 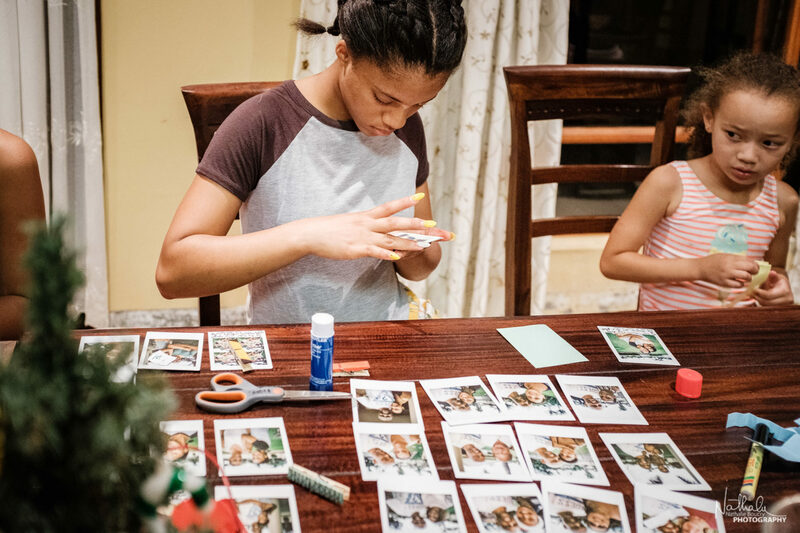 During the year head, at the beginning of every month, each family member will turn over one gratitude message print to reveal the personal message that has been written for them. So, no matter wherever any of us will be at the time, we will all be reminded that we are part of a bigger, interconnected family and of the blessings that come with that – and of course of the fun day we all had together this last Christmas! Wow!!! Creative, Beautiful and very Inspirational.